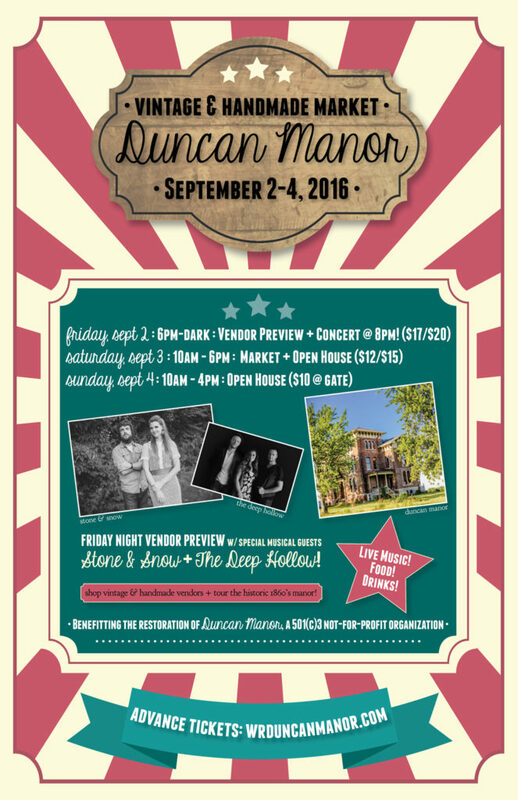 Stone & Snow @ Duncan Manor 9/2! We are happy to announce we’ll be performing a special barn concert at Duncan Manor on September 2, 2016 with special guests, The Deep Hollow, a talented trio of singer-songwriters from Springfield! This performance comes in conjunction with a Fall Vintage and Handmade Market called Boondocks Market as well as tours of the historic manor. Tickets are $17 in advance or $20 at the gate. 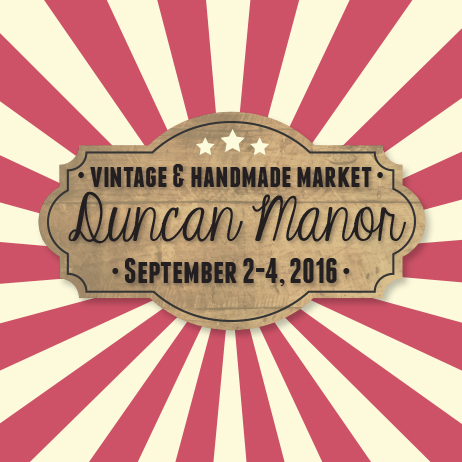 Portion of the proceeds benefits the restoration of Duncan Manor, a 501(c)3 not-for-profit organization.